Many great people have said many great things about the power of music. Music is renowned for having an indescribable power over people, it calms, it soothes and it evokes memories from eras gone by. It also has the power to bring people together and this was never more true than at a recent impromptu performance in a Paris train station. Back in March, the French train company SNCF, had the genius idea of installing pianos in packed out train stations. The project was named, “ A vous de jouer, “ translated as, “it’s your turn to play”. This YouTube clip shows us exactly what happened when two strangers sat down to play and entertain a crestfallen audience. At the start of the piece, we see a lone gentleman sitting at the Piano playing a version of “Una Mattina” by Ludovico Einaudi. A second gentleman is looking on with a knowing smile. He then joins the first man at the piano and they begin to play together. There is hardly any verbal communication between the pair, they are connected simply via the music, their harmonies perfectly blending. As the piece goes on, the two pianists become more in tune with each other and they really start to hit their stride. There is a charming casual air about the whole thing, with the second player even keeping his backpack on throughout the performance. The finale is big and impressive and then the two men part ways with a simple high five and smiling shrugs! Perhaps more astounding is the crowds reaction! You can see them questioning what is happening before their eyes! Is it staged? Do they know each other? Are these professional players? Whatever their questions, they know they are witnessing something great and this becomes obvious with the rapturous applause at the end of the YouTube clip! If you have ever been tempted to start learning a musical instrument, this could be the inspiration you need. 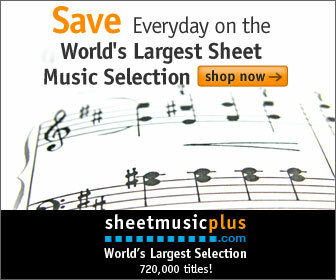 Check out the best online piano lessons now, we have already done the hard work for you.